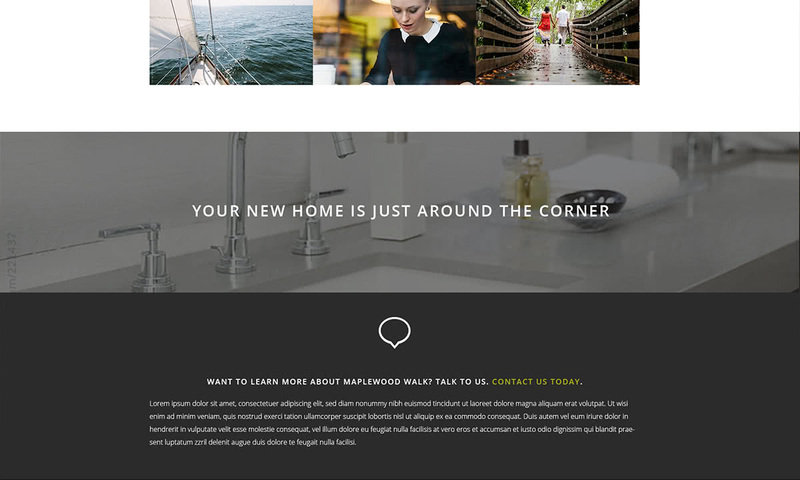 Back in 2014, one of our longtime clients, Island Outlook, asked us to create a website to advertise their devlopment, Maplewood Walk. An intimate collection of 8 unique 3 bedroom and 3 bathroom townhomes, Maplewood Walk is situated in a highly sought-after location in Victoria BC close to shopping malls, grocery stores, schools, parks, and a golf and recreation center. The website featured elegant photography, detailed maps and information for all the units, galleries and slide shows, and easy ways to get in touch. In addition, we designed a modern logo for the Maple Walk, which we’re still proud of today. 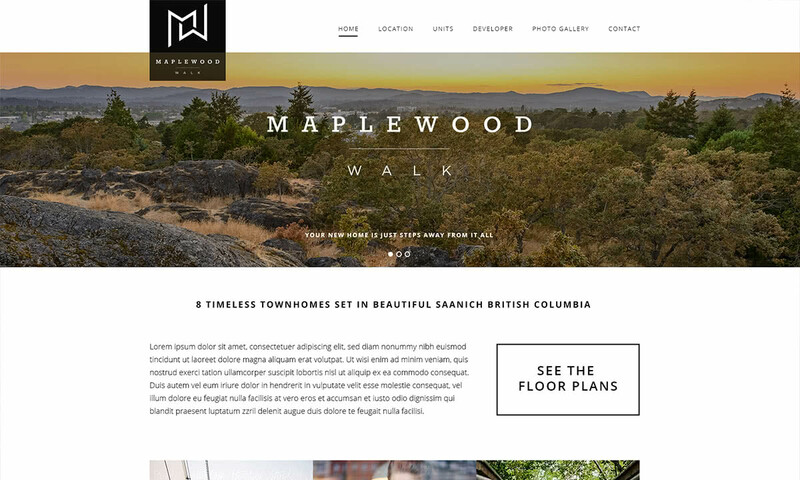 It’s always a pleasure to work with local Vancouver Island property developers!